General Édo stood on the bow of the Nimbo Preto beneath black sails, staring east in the night toward home. She enjoyed the glow kissed by moonlight into her deep brown skin. The stench of blood and sweat and pine embers had embedded itself in her shirt for about the hundredth time and no amount of sea air would shake it loose. The flag of the Boorhian Empire billowed gently overhead, a black field surrounding a great circle of orange. It was supposed to be the world, but the thin black outlines of continents were barely visible on any scale; their boundaries were only theoretical to the empire. General Daynja Édo is a legend: head of the celebrated Boorhian Empire’s military and possessor of a mask of untold power. She has raised her Shadow Army of seven assassins from childhood. But mounting disillusionment over a life of brutality, a petulant emperor, and prodding from The Artful Djinni force her to defy orders for the first time in her thirty year career. When the empire decides they no longer need Édo if they can get the mask, she must face the monsters of her own making and the legacy they’ve turned against her. 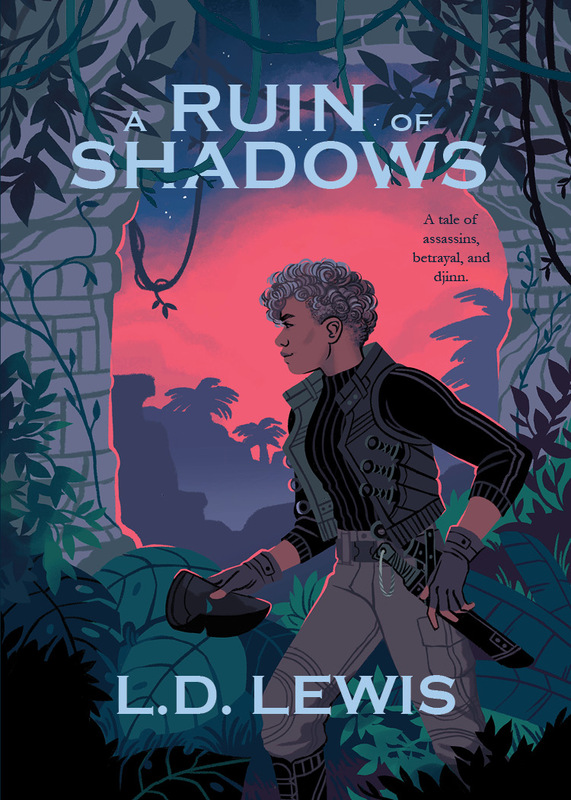 A Ruin of Shadows was released April 24th! Order your copy today! Our current submission window is open through June 30. Please see our submissions page for more details. Get notifications on A Ruin of Shadows and future titles!